Ground floor retail unit comprising of front sales area which has been newly renovated with laminate flooring, soffit ceiling with recessed lighting and new aluminium shopfront. Rear store area and WC. Slater studios provides flexible office space from £880 per month inclusive of bills and high speed broadband. The total size: 386sqft with 3 Large windows & front facing. Ground floor office/retail premises available for lease due to business relocation. The premises has previously been used as an office and are fully fitted for this purpose. Excellent retail frontage onto St Mary`s road. .
Refurbished first floor office space located on Park road a busy thoroughfare leading to Liverpool city centre. The accommodation benefits from new flooring throughout, decoration, heating and lighting. We have a variety of office suites available starting at 290 square foot. Slater studios provides flexible office space from £700 per month inclusive of bills and high speed broadband. The total size: 386sqft with 3 Large windows & front facing. New refurbishednsecond floor office accommodation located in a grade II Listed building on Rodney street. The subject property has recently undergone complete renovation. Intercom access, gas central heating and kitchenettes to each floor with separate WC facility. IDEAL BUSINESS OPPORTUNITY FOR START UP BUSINESS! First floor commercial premises available immediately on Dovedale Road, self contained premises available with reception. Based in the sought after Dovedale Road! Bills included. **COMMERCIAL PREMISES** Marshall are delighted to offer for rent these commercial spaces on Walton Hall Avenue, L4. In a great location with constant, passing traffic it offers great exposure of your business. 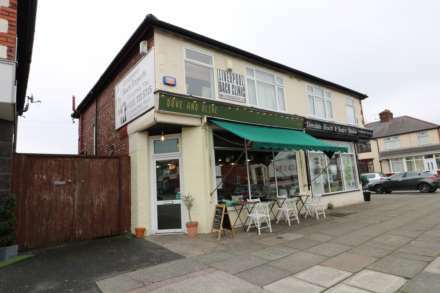 **BILLS INCLUDED** Situated in a prime location, 2 miles from Liverpool John Lennon airport and great transport links into City Centre, is this wonderful commercial building with several suite`s to be rented out at a range of sizes and prices to suit everyone`s needs.